Thanks to Matt Gaines for sending us this series of photos of his giant sequoia tree growing in the Dallas-Fort Worth area of Texas. This photo was taken on 9/3/2012. Matt Gaines giant sequoia tree on 9/22/13. Matt Gaines giant sequoia tree on 5/18/14. Matt Gaines giant sequoia tree on 8/16/15. 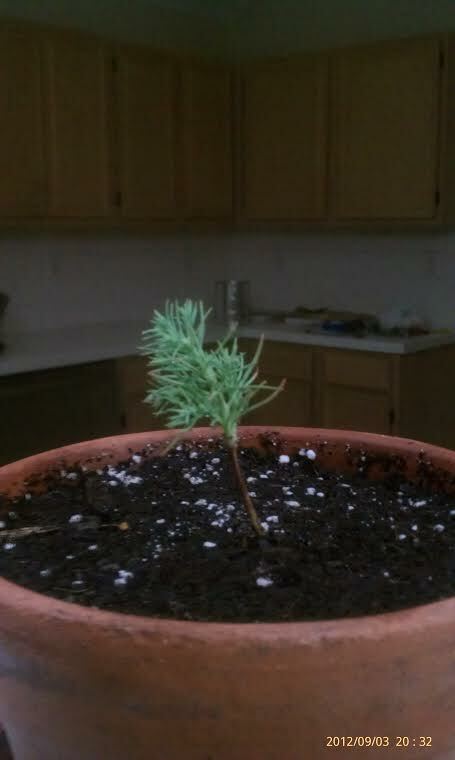 Here is Matt's description about the growth of his giant sequoia tree, "On a trip during Labor Day of 2012, I purchased a tube giant-sequoia seedling at a ranger station. 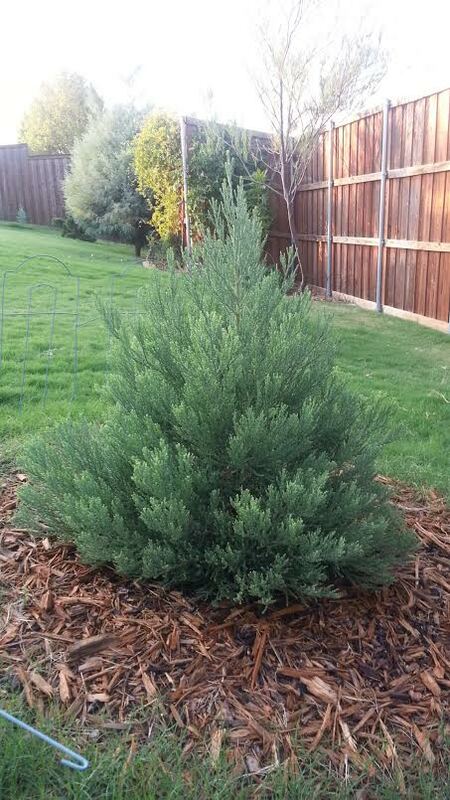 I planted it in a small terra cotta pot and grew it for one year before planting it in my yard, in Lewisville, TX, in mid September of 2013. It has survived two Dallas-Fort Worth summers, 2014 and now most of 2015. It started out at about 2-3 inches tall and is now 3.5-4 feet tall and doing well. It receives late morning sun until late afternoon sun. Since July 9th of 2015 until August 16 of 2015, Lewisville TX has had no precipitation, 14 days of 100+ temperature, and no high's below 96. With some occasional hand watering and the irrigation it receives from watering my lawn, it has shown no ill effects from this summer heat. 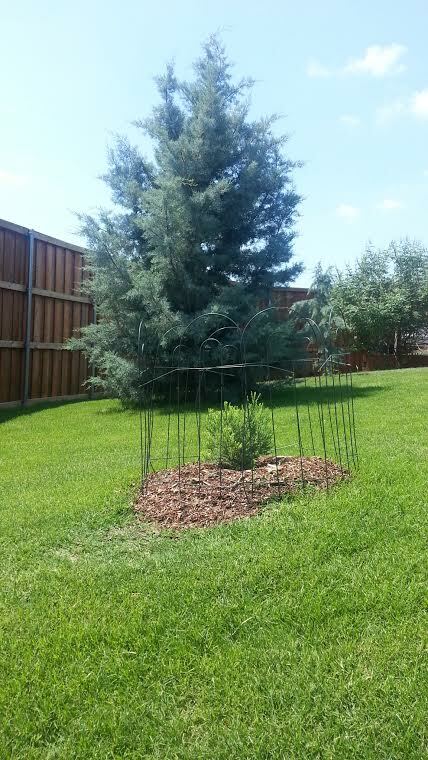 Other trees, like Colorado Blue Spruce, cannot take the brutal heat of the Dallas-Fort Worth area and will rapidly decline and die with this type of weather. Your website mentions that in full sun, Giant Sequoia's bulk up more than putting on height and this certainly appears to be true. I've noticed that other pictures within the gallery show trees that are more sparse with branches but fairly tall. As you can see with my young tree, it is quite dense with branches and foliage and has only now started to show its single leader tip". Thanks so much to Matt for letting us see how well his giant sequoia tree has grown through the years. 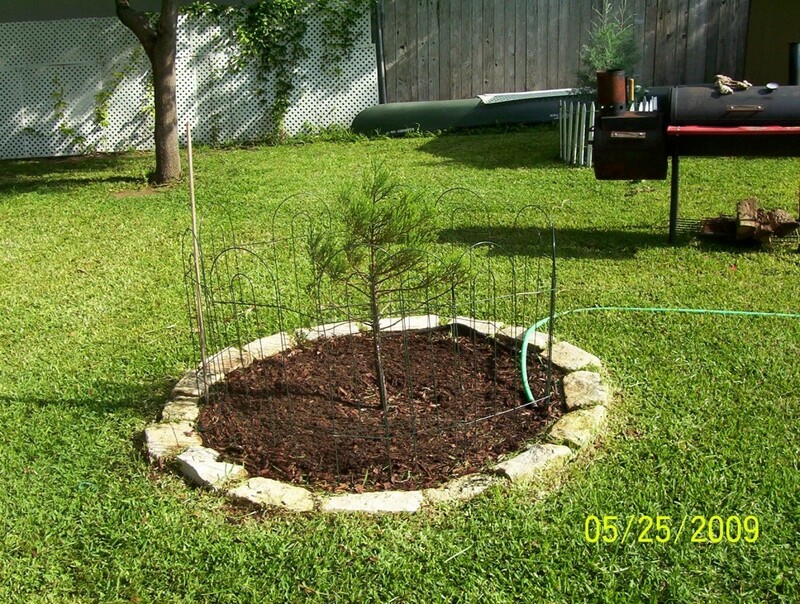 Thanks to Victor for sending us a picture of his giant sequoia tree growing in Corpus Christi, Texas. It is located on the Gulf, close to the US border. 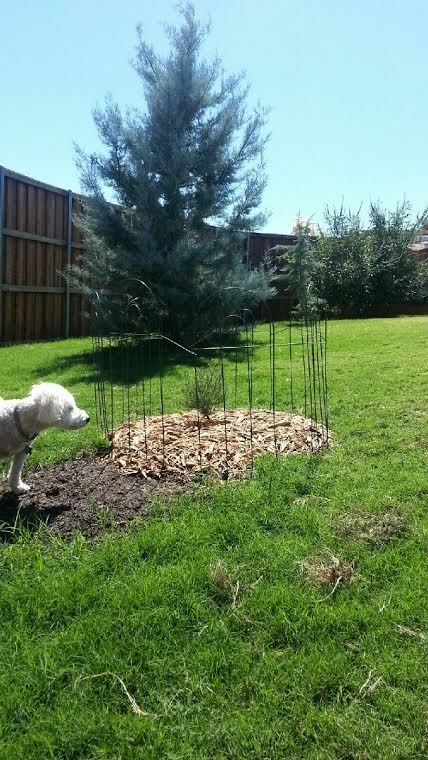 This tree was planted in 2014 and is slow watered daily. He has two growing on his Carmel Parkway Drive property. 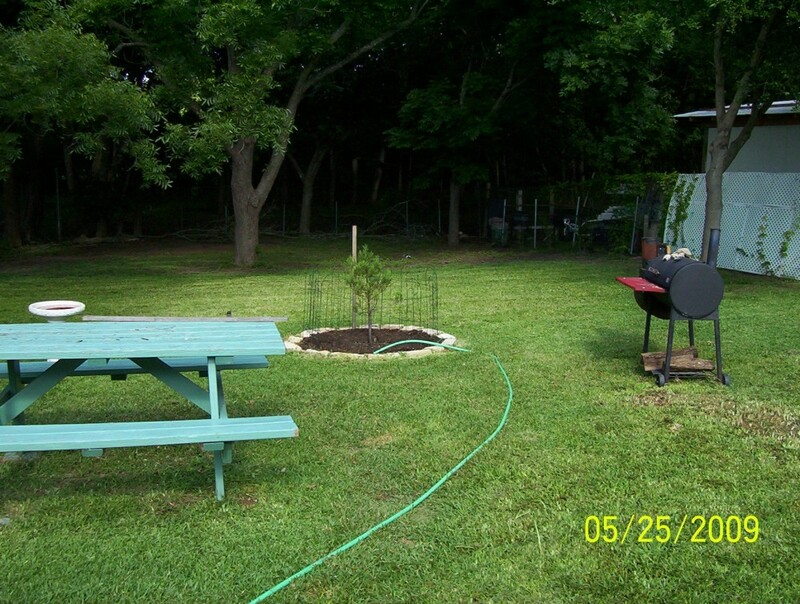 All of his trees are healthy and have grown 10 to 13 inches after one year. 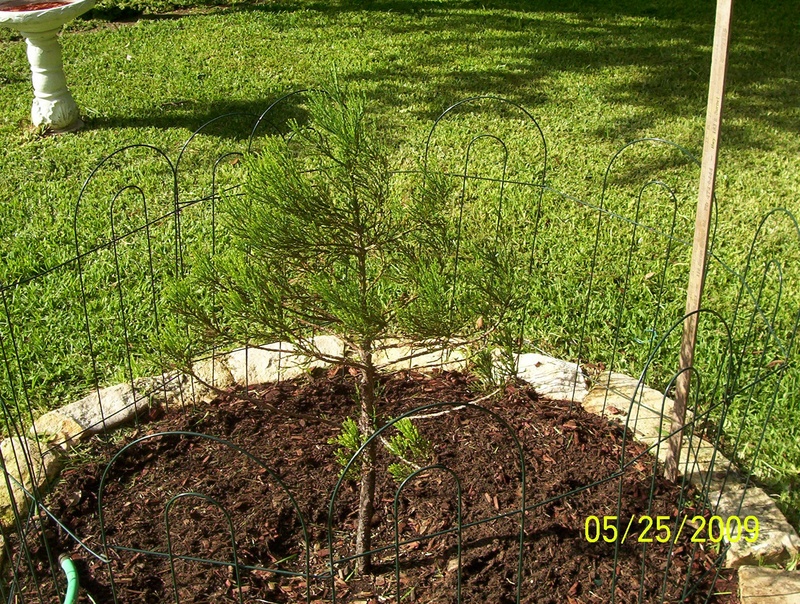 Another view of John's healthy giant sequoia in Austin planted in 2007 from our nursery. One will notice the water access and protection from mowers and animals. 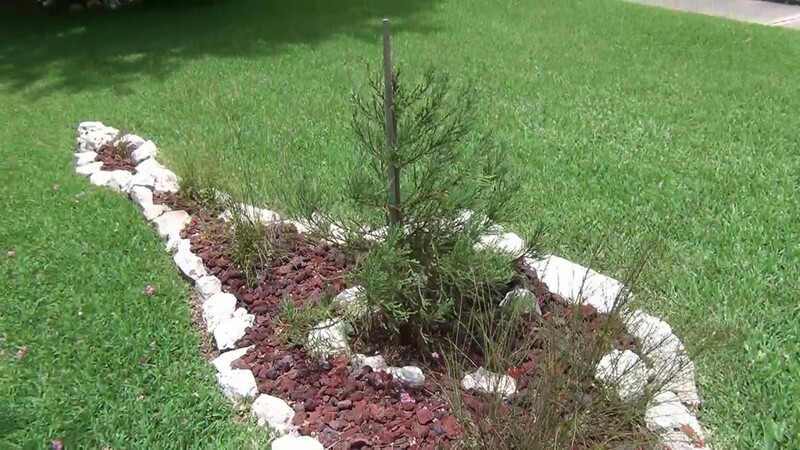 Johns giant sequoia showing great growth at the beginning of the second summer in Austin.